I think I have winter depression or the winter blues. Lately the days have been so dark and gloomy, I don’t want to do much of anything but sit around. 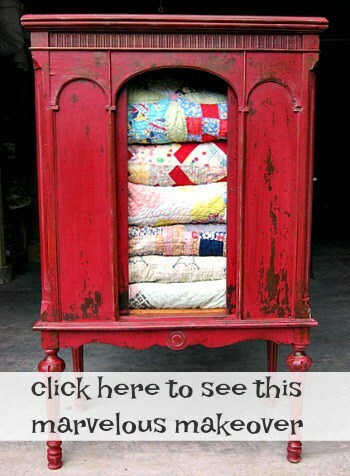 So…when I’m just sitting around….doing nothing…..I start looking at Pinterest and that cheers me up! And I noticed something….there sure are a lot of people decorating with white! I gathered some of my favorite white décor images to share with you. The first one is a complete bathroom overhaul, and I am green with envy. It’s so big and that chandelier is just to-die-for. 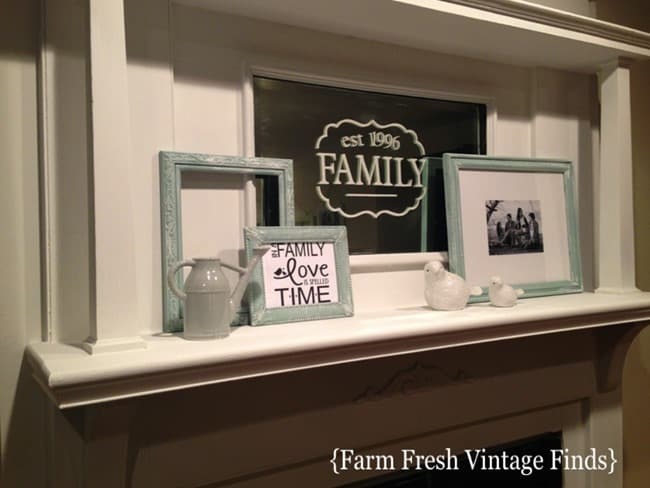 Beth painted her mantel white and the frames in duck egg blue. I love the color contrast and also the stencil on the mirror. 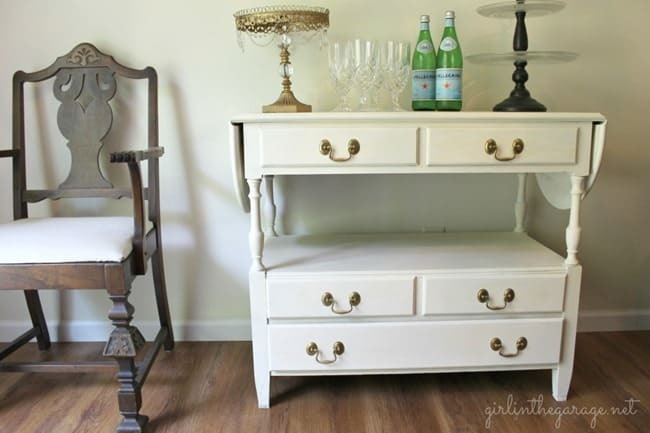 Jen painted this Buffet and used Revere cleaner to spruce up the grungy hardware. I like that chair too. 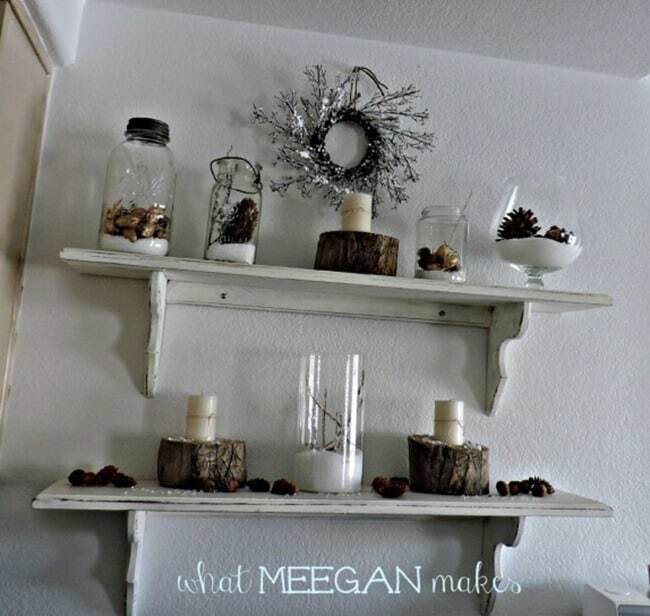 Meegan gave her wall shelves a winter makeover using white and neutral colors. 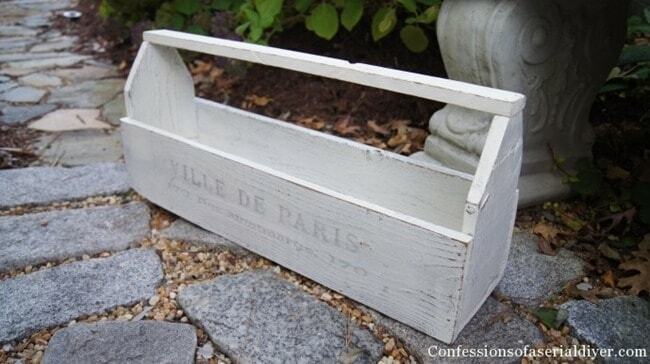 Christy made this tool box from an old fence panel and then transferred a graphic onto the front for this cute makeover. Megan used fabric spray paint to make these cushions better than new. I neeeed to try that paint. 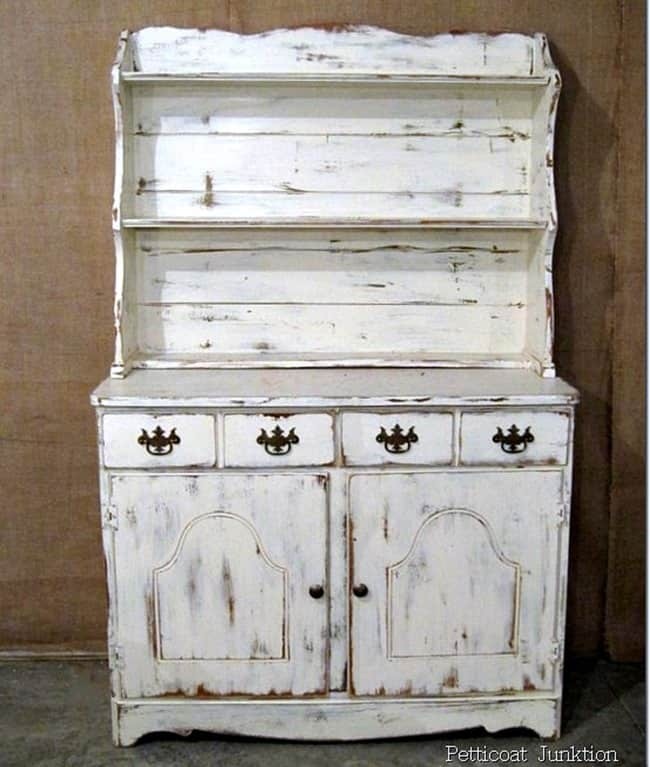 Have any of you ever tried fabric paint? Nancy lives on the east coast and she made this lantern her on! 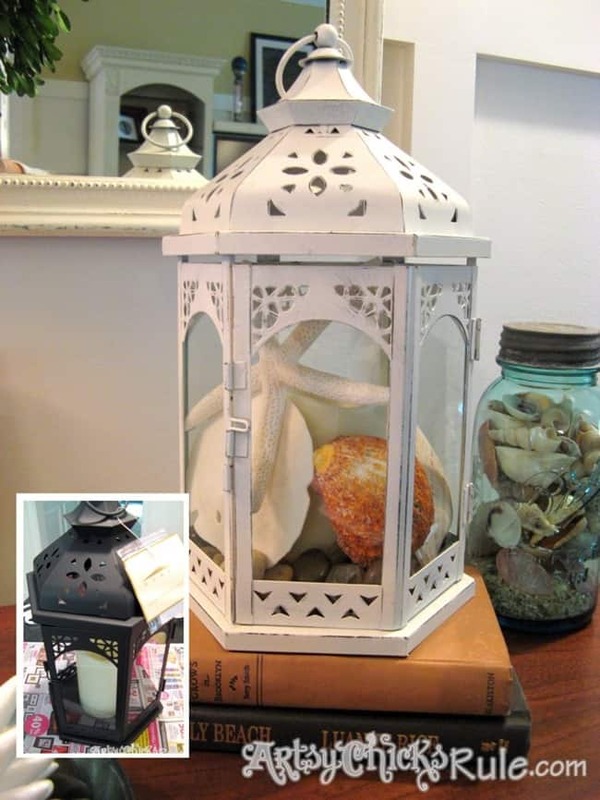 The lantern went from being very dark… to light and airy and filled with seashells. 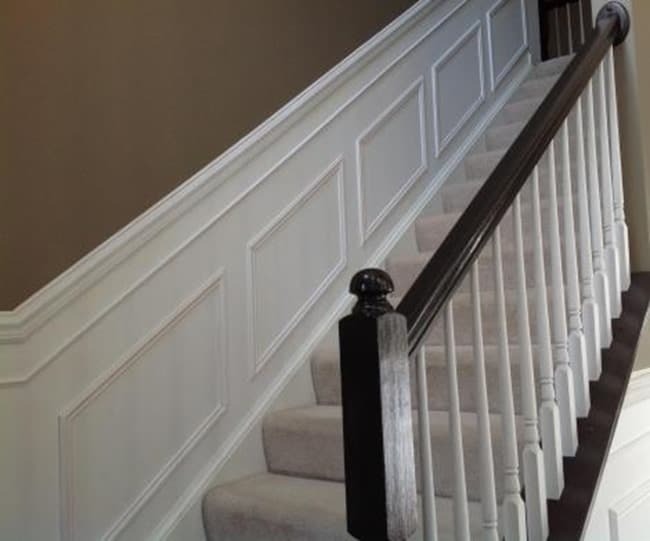 I simply love wainscoting. 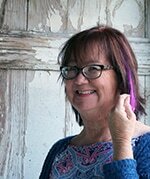 Jeanette has the complete tutorial on her website. To view more photos and tutorials on the projects above…..just click the picture or the “pink link” below the photo! 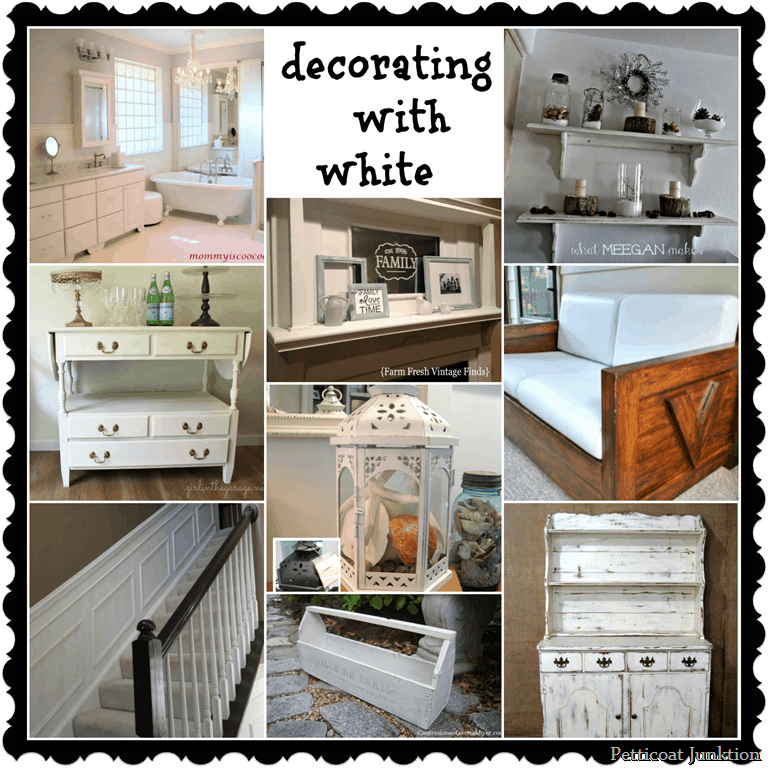 Do ya’ll like decorating with white…..or do you like bright colors? 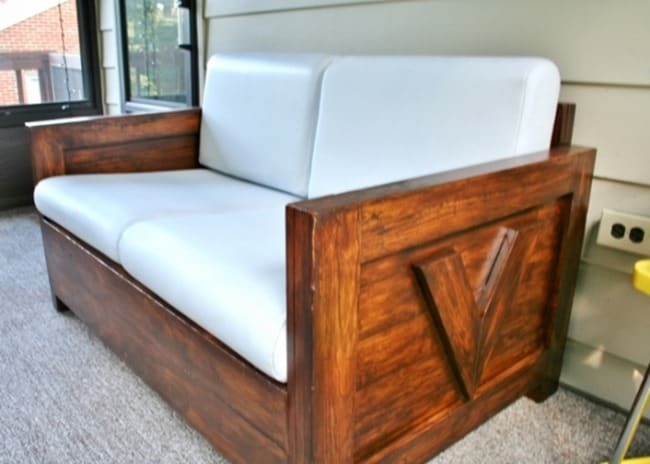 Did one or more of these projects inspire you? Some white is nice but all white/neutrals very antiseptic/sterile looking. Thanks for including me Kathy. I love all of these white projects!!! Thanks for including my fun little lantern makeover Kathy!! I love everyone else’s white projects too. Great roundup!! Thank you for including my buffet, Kathy! I don’t decorate with a lot of white, but I’m thinking I need to- it’s so crisp and clean! Great roundup Kathy! I love that these are all such different styles but uniform because they share white! I definitely think the white trend is here to stay! Thanks so much for including my shelves Kathy! I am loving a lot of white these days, and each one of these is an inspiration.